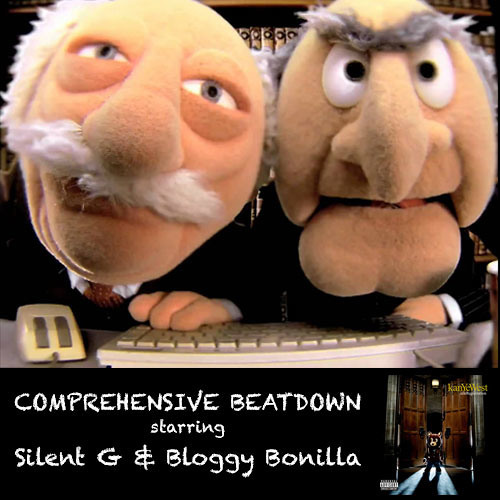 After a quick vacation, Bloggy Bonilla and Silent G are back with Episode 26 of Comprehensive Beatdown. This week, the guys take a look back ten years to “Late Registration,” Kanye West’s second album, released August 30, 2005. “Late Registration,” released to critical acclaim and high sales, was given a boost after Kanye’s (in)famous “George Bush doesn’t care about Black people” quote at a Hurricane Katrina relief benefit just days after the album’s release. Kanye West would go on to be one of the most influential players in pop culture and remains so to this day. The guys discuss all of that and more this week as they take a listen back through one of the better albums of the early 21st century.